Product contains milk. Produced in a facility that also processes egg, wheat, soy, peanuts, and tree nuts (pecans, almonds, coconut, cashews, walnuts). Chocolate, cheesecake, and fruit is a combination that's hard to top. 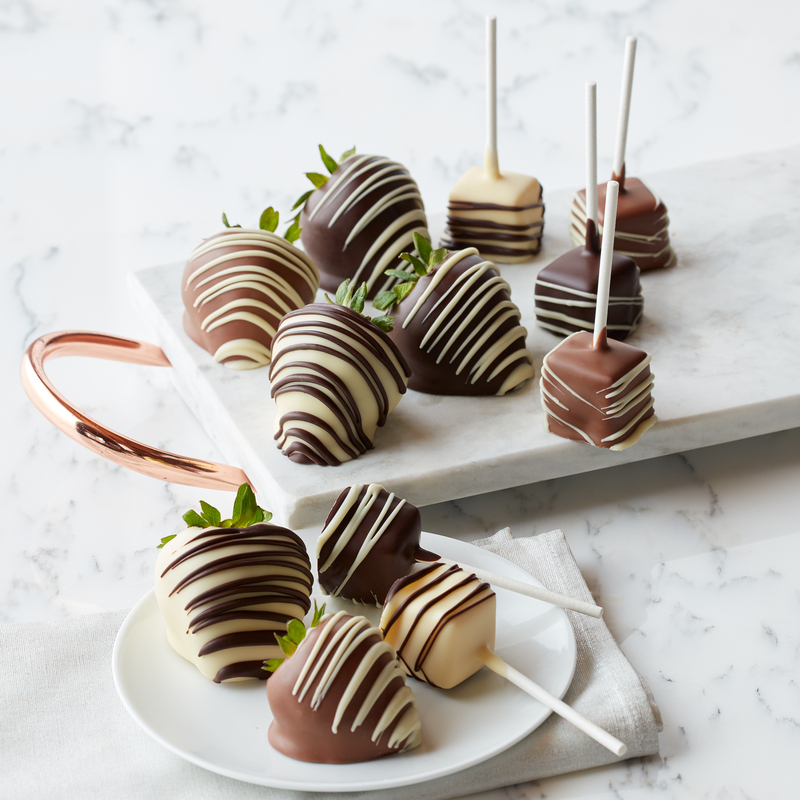 Six juicy strawberries and six creamy cheesecake pops are each coated in either dark, milk, or white Belgian chocolate for irresistibly decadent treats. Send to your favorite sweet tooth, or add to your next party's dessert table!